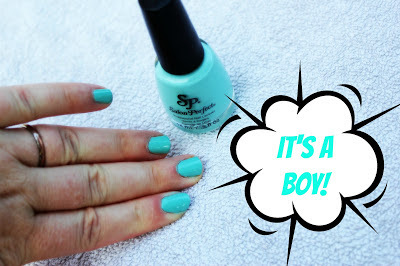 Summer Beauty Fun: Nail Polish Baby Gender Reveal! I have seen so many cute ways to tell family and friends what the gender of the new baby is, and most of my family already knows what I'm having. For those of you who don't know, however, I thought it would be fun to share the news with a super beauty product that I have fallen in love with. Two new shades from the Salon Perfect line, Robin's Egg and Tickled Pink, are great examples of how this polish covers well and stays on a long time. 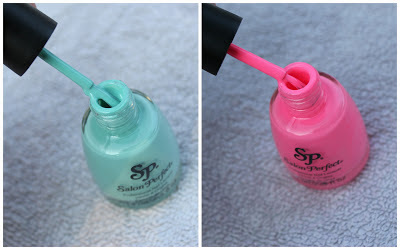 Just two coats gets you a professional look (provided you aren't riddled with hangnails and such -- as I am.) Even if you can't ever get to the salon, you can freshen up your look for a family reunion, or in my case -- a baby shower! 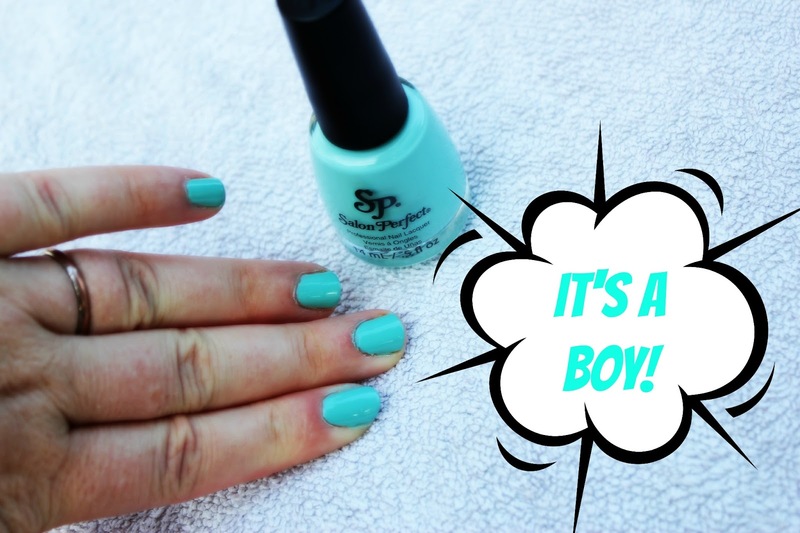 So, how do you go about revealing the baby's gender to friends and family via nail polish? Just pick the shade of the gender you're having (blue = boy, pink = girl), paint up your nails, snap a photo, and post on your favorite social media channels. Everyone's on Facebook, right? You could even do it for the day of your baby shower (if that's where you plan on revealing your surprise), and show them off then! You can find several shades of the Salon Perfect line at your local Walmart. They also have a nifty top coat for nails, and products for other parts of your beauty routine (like false lashes and makeup remover.) Being pregnant in the summer, I'll probably go without makeup for awhile, but it's good to know that there's a brand for me when I'm ready to get back into the glamour waters!